Well built and designed car. Quiet, stable ride. Auto-traction control great in the snow. Amazing acceleration for a four cylinder especially in Sport mode (thank you twin turbos!). Good visibility for an SUV. Runs great on mid-range fuel. Excellent braking and feels in control during hard braking. Sorry, we couldn't find any BMW X3 listings that matched your search criteria. Here are Nationwide listings for a BMW X3. Here are our listings for all model years of the BMW X3. 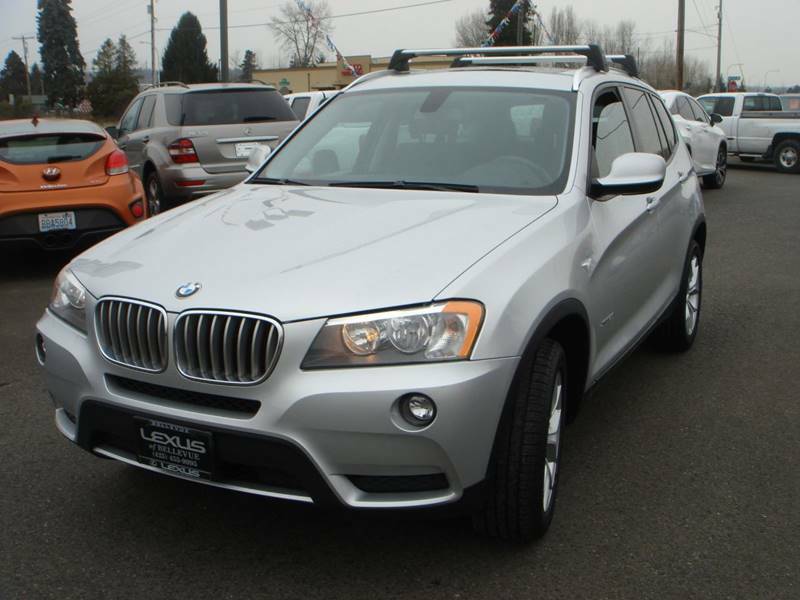 Sorry, we couldn't find any 2013 BMW X3 listings that matched your search criteria. You might be interested in these similar years for BMW X3. Avg. Dealer Rating: (30 reviews) "Good service"
Avg. Dealer Rating: (76 reviews) "I must say, working with Auto Trust USA was the best car buying experience I have ever had. They were very knowledgable, honest and fast. I highly recommend anyone looking for a car to go there. A+ service. " Avg. Dealer Rating: (12 reviews) "Very friendly guy. You have to find financing that works with individual dealers but he’s a man of his word. Held the car for almost a week while we found financing that would work with the dealer. " Avg. Dealer Rating: (76 reviews) "They were prompt,courteous and not pushy. A great first impression." Avg. Dealer Rating: (44 reviews) "good phone service. answered questions." Avg. Dealer Rating: (14 reviews) "Respond "
Avg. Dealer Rating: (16 reviews) "Quick response "
Avg. Dealer Rating: (26 reviews) "They told me the Honda was not available and sold. Then, it was sitting on the back. " Avg. Dealer Rating: (7 reviews) "Dealer was very helpful in facilitating my purchase and satisfaction. I would go back." Avg. Dealer Rating: (28 reviews) "They responded, but the car was not exactly what I had wanted "
Avg. Dealer Rating: (3 reviews) "This was a very , enjoyable experience, no hassle I will recommend to my friends, I give five stars "
Avg. Dealer Rating: (51 reviews) "Great response "
Avg. Dealer Rating: (17 reviews) "The sales representative at National Auto Warehouse was straightforward and honest and did not pressure us in any way. Our transaction was accomplished with efficiency, precision and in a timely manner. I would recommend this company to others." Avg. Dealer Rating: (148 reviews) " I like this dealer "